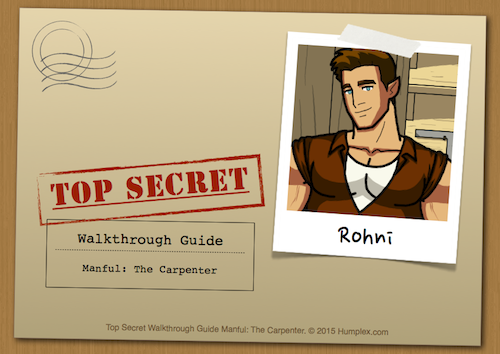 Rohni, the Carpenter is good at handling all kinds of tools. Even yours! Monthly Manful are good but, i would really like to see a Kreic's Komplex 4 a new one, introducing the others characters in the Huminia world (like Zulf, Toraz, Isen & Isel, Rai...) or that mini games called Tips Jar Flash, it would be awesome! You left your line ends rounded this time.